Perjury claim leveled by Swallow's defense against FBI agent. One of the mysteries that has hung over the Shurtleff and Swallow prosecutions is why the Department of Justice's Public Integrity Section declined to seek prosecution of the two former AGs. It's been almost a holy grail of the deeply convoluted corruption saga, a decision by the feds that left the local legal community bewildered given the amount of allegations and concerns paraded through local media over several years. 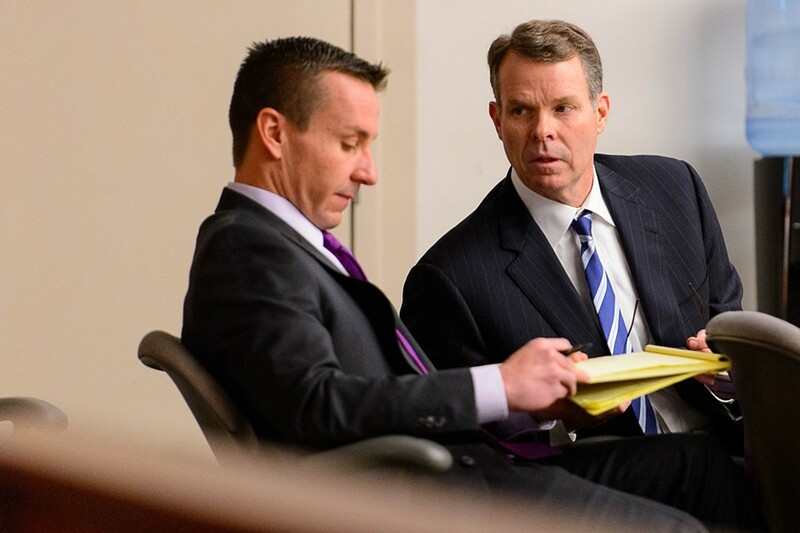 The Davis County Attorney's office, Shurtleff's defense team and Swallow's team had all sought the paper-trail behind that decision from the DOJ, only to be told no by the feds under Touhy regulations. Touhy was one reason defense attorney Scott Williams told the court that was cited for barring the federal declination from reaching the jury. There's a story about Touhy in this week's issue. So imagine the dropped-jaws and stunned expressions on Swallow's defense team and other prosecutors when the D.A. 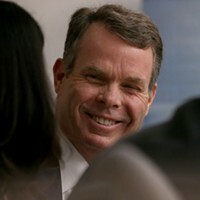 's prosecutor Fred Burmeister led FBI Special Agent Jon Isakson through the history of the investigations into Shurtleff and Swallow, only for Isakson, who first started the investigative ball rolling for the feds on bringing down the two AGs, to inform the court that the FBI had asked the DOJ to decline prosecuting the duo after its short-lived investigation so they could continue working with D.A. Sim Gill and Davis County's Troy Rawlings on the investigations. The FBI was concerned, he told the court, that the statute of limitations on alleged crimes by Tim Lawson would run out. The only way to bring charges would be to continue their then close-knitted collaboration with Rawlings in particular. "We were concerned the state statutes would run out if we didn't help Troy Rawlings," Isakson said. "We were always working with them." Later, Williams repeatedly asked Isakson if he had been asked about the declination by the feds before by Rawlings and Gill. Isakson said the question of why the DOJ declined never came up. "I don't remember them asking me that question." Williams was almost beside himself after the jury broke for lunch, reminding judge Elizabeth Hruby-Mills that she had ruled in favor of the state's motion to bar anyone from bringing up the federal decision before the jury. He promised to show that Isakson perjured himself on the stand. 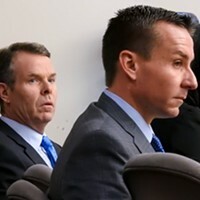 Burmeister apologized to the judge for his "very poorly worded question" that opened the door to Isakson's testimony, information the agent later acknowledged on the stand that he had forgotten could not be introduced, as ordered by the judge. In a day marked by agitated attorneys arguing with their own side, confused and angry FBI agents wondering what was going on, the judge repeatedly summoning prosecution and defense to sidebars while white noise hid their mutterings, the day's best description went to the man who has not spoken yet in court, except in brief video testimony. Isakson recalled that when he asked Swallow what funds he raised from his first trip to Pelican Hill for Shurtleff's campaign, it was "a big nothing burger."